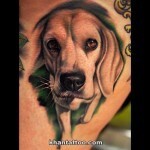 There are numerous reasons for wanting to have a tattoo removed. So many people make hasty decisions and wind up regretting them later on. Some designs just don’t stand the test of time and sometimes visible tattoos interfere with relationships or career goals. Beyond that, it has been reported over and over again that the most common reason for removing a tattoo is to erase all remnants of a previous relationship: names, designs, anything that reminds someone of a formerly-significant other. Whatever your reason, read on. That “bad decision” need not be as permanent as you think. The best way to determine the way to proceed is to discuss it with a dermatological surgeon that specializes in tattoo removal. Fortunately, older methods like dermabrasion and excision, which involve literally sanding or cutting off the tattoo respectively, have been replaced with far less invasive Q-Switched laser removal methods. 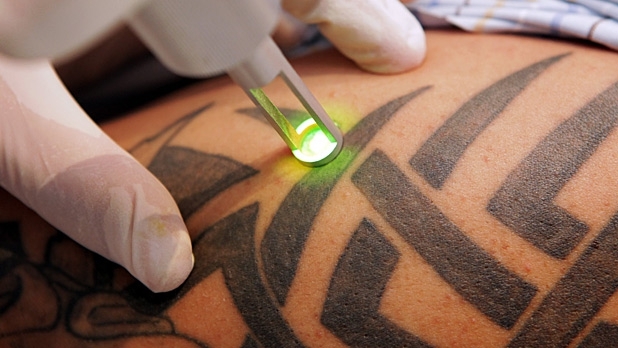 These processes are very similar in delivery to getting tattooed in the first place since they involve laser pulses that remove ink the same way the needle injects it. The newest and most effective of these tattoo removal methods is called Q-switched Nd: YAG. This particular method in the laser removal family has been found to be the most effective for removing red, blue and black inks. A friend of mine, who also had more than thirty tattoos all over his body once gave me some sage advice. According to popular Australian laser skin clinics, it went like this: When you decide on a design for a tattoo, keep a picture of it someplace prominent where you will see it all the time. If, after six months, you still want it, get it. 90% of the time you’ll decide not to. The ones that stand up to six months of constant exposure will be the ones you will appreciate for a lifetime.